The 'Microscan' is a wideband scanning antenna on a tiny 1" magnetic mount. 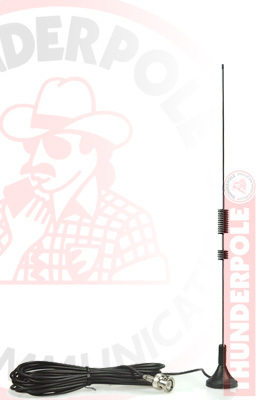 It looks very much like a cellular antenna so it wont look out of place on any vehicle. It also has transmit capabilities on the 2m and 70cm amateur bands. Comes complete with 5 meters of thin RG174U cable & BNC plug.